largest Hindu temple in the world. after the one at Gandhinagar in Gujarat. community. It was inaugurated in November 2005 by the President, Dr. APJ Abdul Kalam. floral carvings and also has 11 huge mandapas (domes) and decorated arches. Shiv Parvati and Lakshmi Narayan. an art gallery, musical fountain and an IMAX theater where visitors can see film based on the life of Swaminarayan. A 12-minute indoor boat ride describing India’s achievements over the years takes the visitors to the theater. A safe and comfortable air-conditioned Car with driver, all inclusive. (Fuel for car, road and state taxes, toll fees, parking fees, Insurance for Customer & Driver and driver's food and lodging). A Driver with excellent skills and record, a good knowledge of the area you are visiting and sufficient English to communicate. The car will be with you from your arrival to departure with as many stops to sight see as you want. Other Expenses Incurred Beyond Our Control Such As Bad Weather, Flight Cancellation, Road Closure, Land Slides, Political Disturbances, Etc. 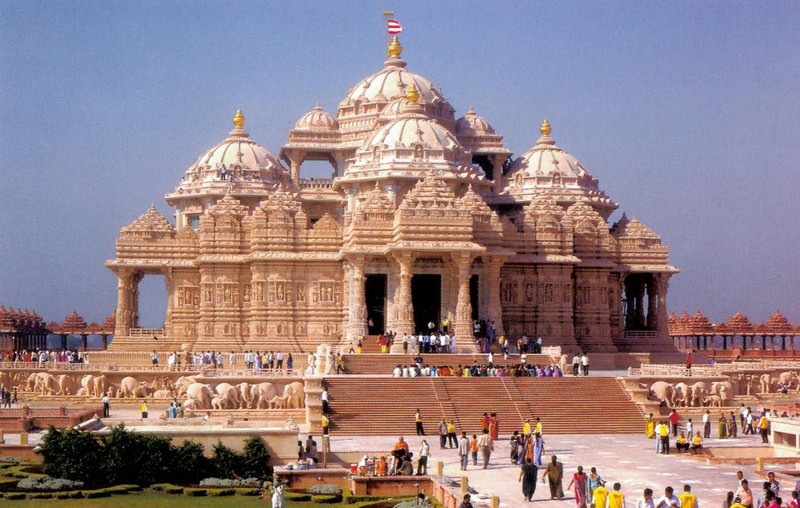 We went Akshardham Temple with our family and enjoyed the whole day.we purchased tickets for complete package. This includes Robot exhibition, Movie based on Shri Swami Narayana god and finally the underground boating. At last we enjoyed musical fountain and saw the main temple. Really a great and memorable experience.